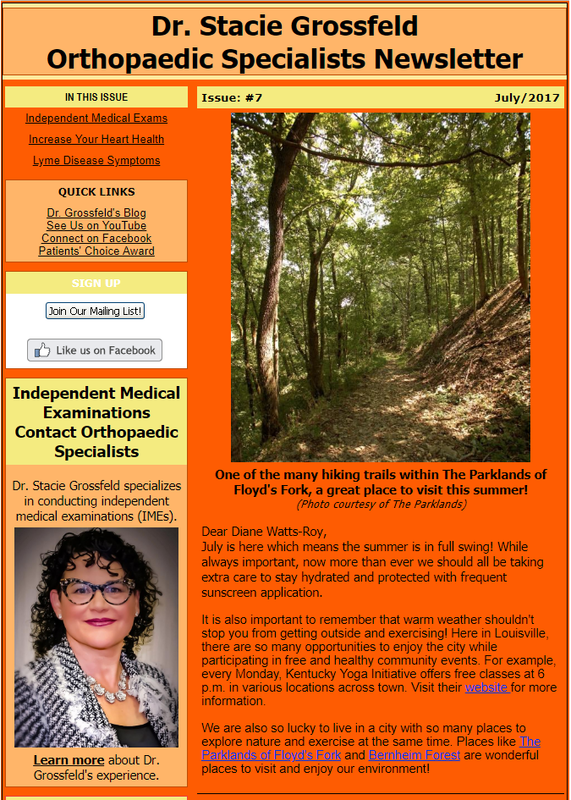 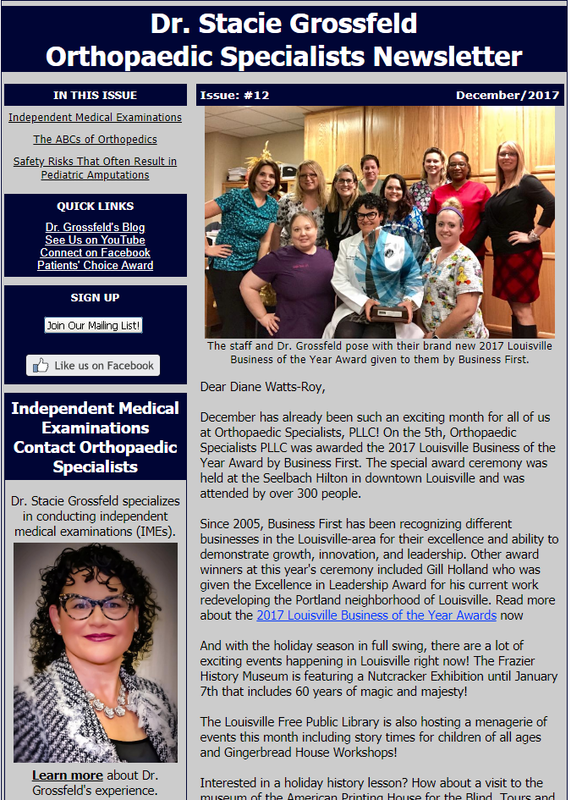 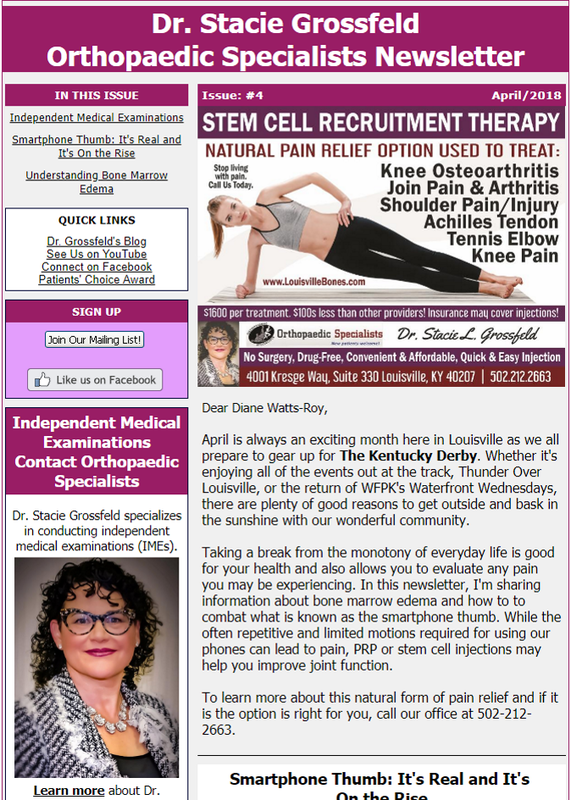 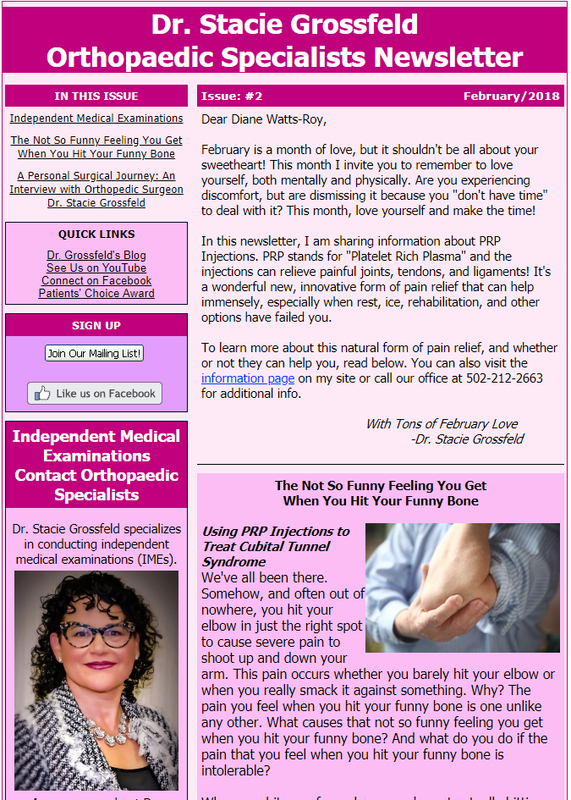 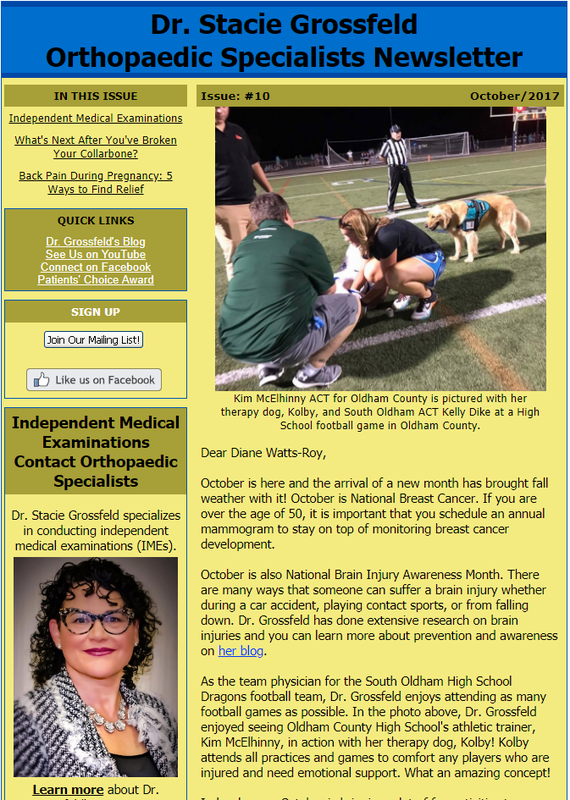 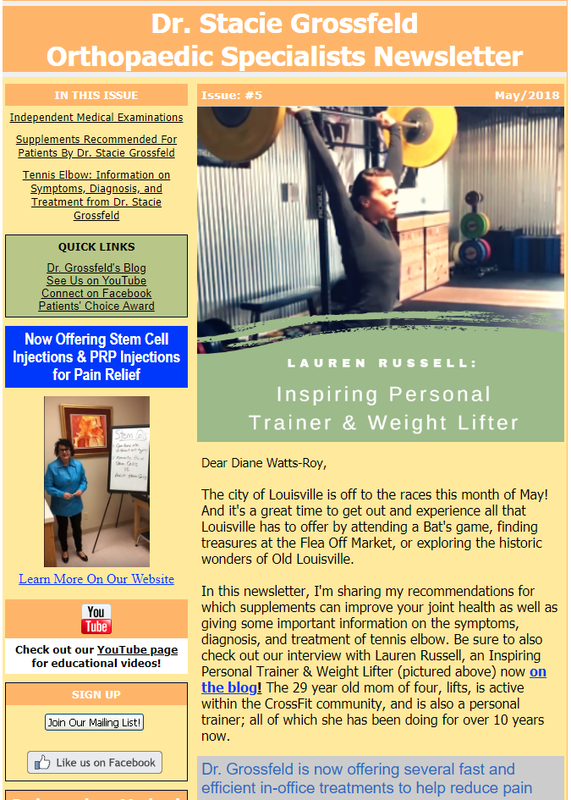 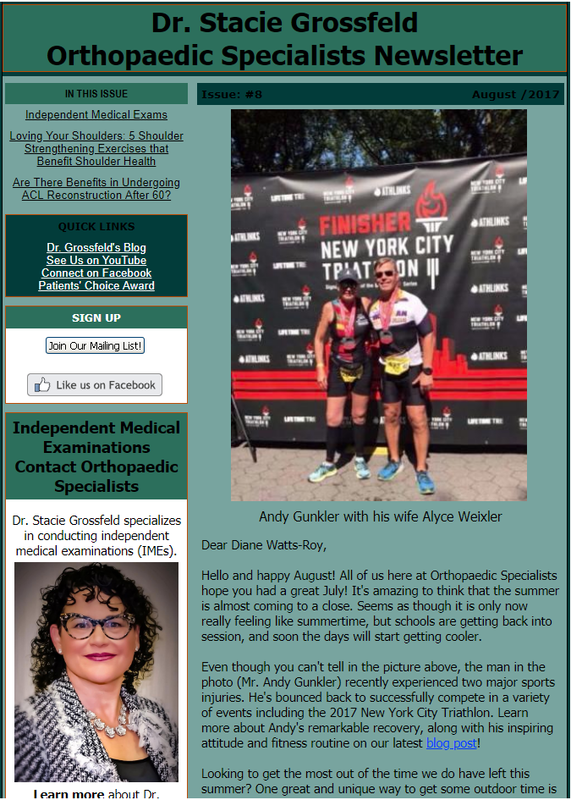 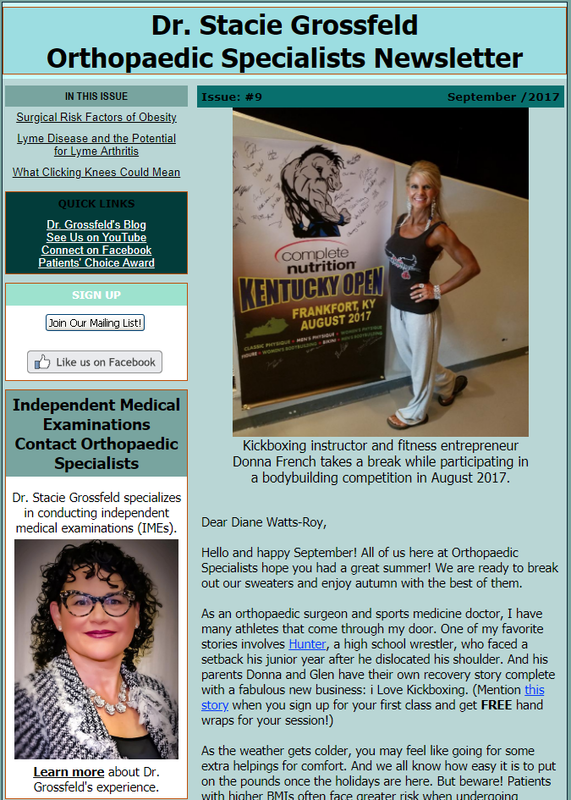 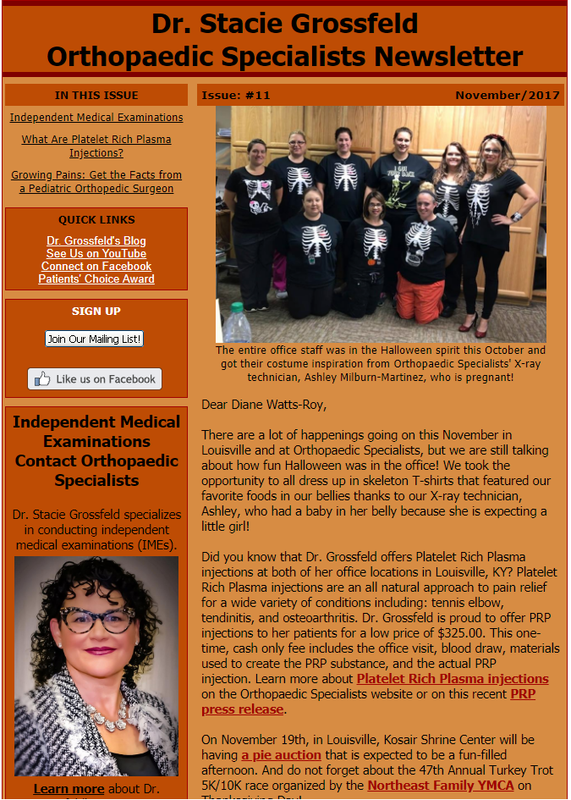 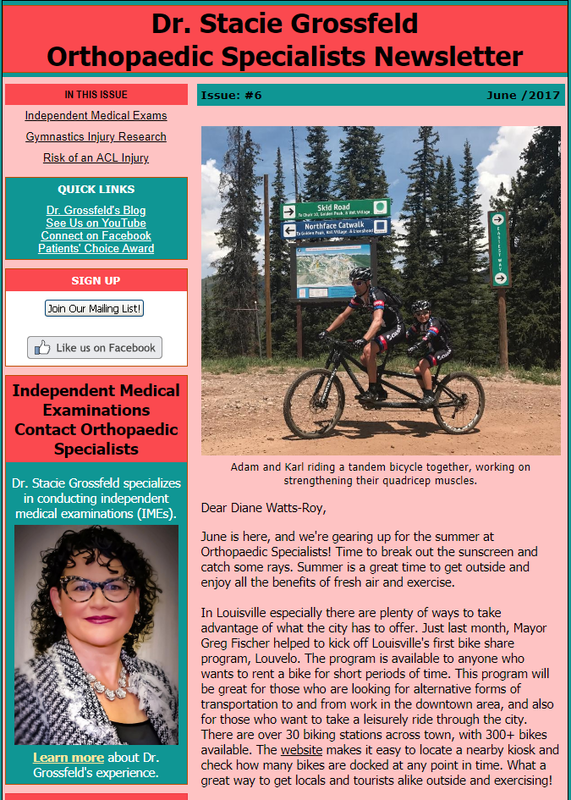 Dr. Stacie Grossfeld of Orthopaedic Specialists in Louisville, Kentucky has been sending out a monthly newsletter for the past 5 years. 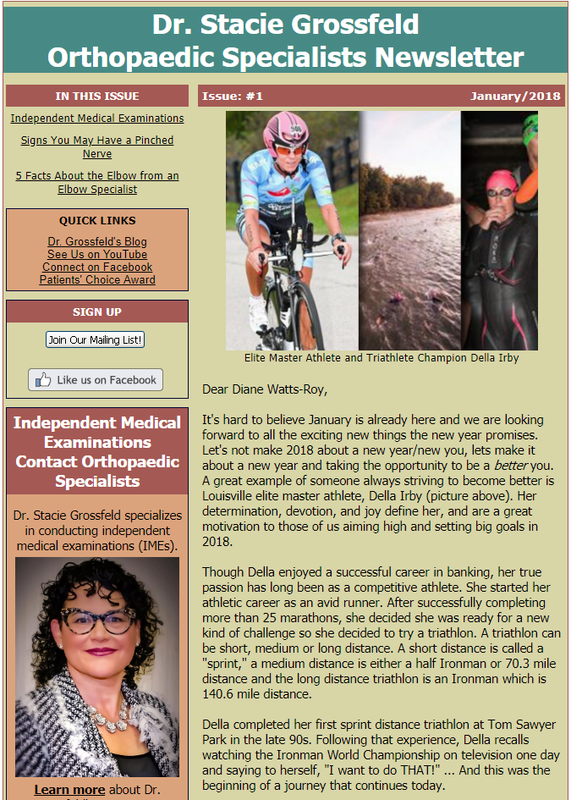 The last year of her newsletters are archived below for your viewing pleasure. 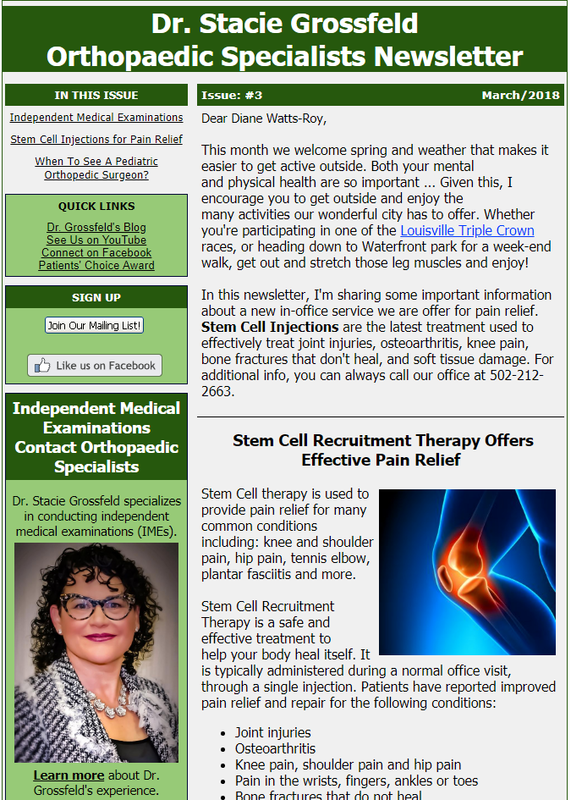 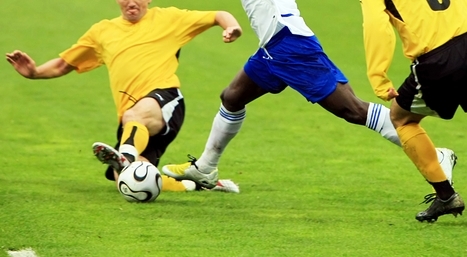 If you’d like to stay up-to-date on news from Orthopaedic Specialists, use the form to the left to sign up and have the newsletter delivered directly to your inbox.